7 BED EN-SUITE PROFESSIONAL HOUSE SHARE £455.00 ALL BILLS INCLUDED AND COUNCIL TAX. We are pleased to offer a room in this stunning 7 bedroom property which is part of a brand new development. It is ideally located to both Heath Hospital and Llandaff Campus and within close proximity to Roath Park and all the local amenities it has to offer. This property boasts 7 en suite bedrooms including top of the range Porcelenosa bathrooms which features the latest ceramics. All bedrooms include fitted wardrobes and fitted desks. Each house is designed with an open plan living area offering a bright and inviting interior space with modular integrated kitchens which includes 2 large fridge/ freezers, washer/dryer, dishwasher and two cookers. All bedrooms in this property come with double beds and ensuites up to a high standard with walk in showers. The bedrooms in this house are set over the ground floor, first floor and top floor all with different layouts. To avoid disappointment call or drop in to book your viewing! Situated on Albany Road where there are many restaurants and shops. close to the city centre and under 10 minutes walk from the University. HOMELY & SPACIOUS, this six bedroom property has lots of perks. All six LARGE BEDROOMS benefits from DOUBLE BEDS with GREAT STORAGE and plenty of NATURAL LIGHT. The LARGE LOUNGE AND KITCHEN are both great for social events and simple evening relaxation, with MODERN DECOR and plenty of NATURAL LIGHT and also come FULLY FURNISHED. The SPACIOUS BATHROOM comes fully-tiled with a BATH/SHOWER COMBO. This property is also EXCELLENTLY LOCATED to local amenties, GOOD TRANSPORT LINKS and Cardiff University, and RESIDENTIAL PARKING permits are easily obtained via Cardiff Council; a sure benefit on the busy street and Cardiff in general! All of these benefits make this property great VALUE FOR MONEY! This property is FULLY MANAGED by Keylet for your peace of mind, and is also AVAILABLE ON INDIVIDUAL TENANCIES, so enquire today to book a viewing on 02920 388399! Fees apply. Please book your viewing today for this beautiful 1 Bedroom flat. With laminate flooring, a double bed and modern furniture throughout! This location is perfect for students wanting to be close to the university and also a stroll to the city centre! This property is managed by Keylet. Fees Apply. This 5 bedroom property is located off Albany Road and is close to both Cardiff and UWIC universities. Downstairs we have 2 bedrooms, hallway leading into kitchen/diner, patio doors lead out onto patio/garden. Off the kitchen we have a utility area which holds washing machine, tumble drier, fridge and freezer. Also downstairs toilet and shower room. Upstairs there are 3 double bedrooms and bathroom with hand basin, toilet, bath with shower. Again all bedrooms have double beds and wardrobes, bedside cabinet and working table. This property is managed by the landlord. 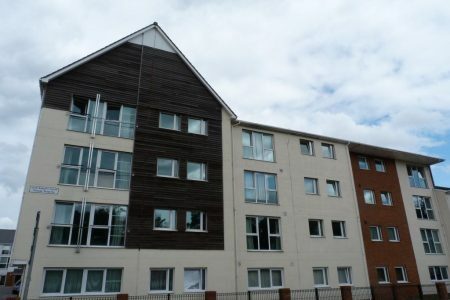 Keylet are proud to present this first-floor flat with lovely bay windows situated a stone`s throw from Cardiff University`s business school. NO AGENCY FEES!! Keylet are proud to offer this STUNNING five bedroom MAISONETTE located just around the corner from Roath Park Lake. 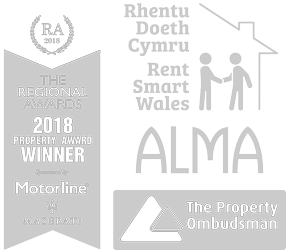 The location of this property makes it perfect for medical students studying in the University Hospital of Wales or professionals working in the surrounding area. This property boasts a stunning OPEN PLAN kitchen & living space and five LARGE DOUBLE bedrooms. OFF-ROAD parking for one car is available to the rear of the property. This property is FULLY MANAGED by Keylet. .
*NO AGENCY FEES – LIMITED TIME OFFER* This striking STUDIO apartment offers luxury and style to create a contemporary haven set in a PRIME LOCATION in the heart of Cardiff. This FIRST FLOOR studio is designed to offer a contemporary living experience complete with UNDERFLOOR HEATING, state of the art VIDEO ENTRY systems and a FULLY INTEGRATED KITCHEN. The OPEN PLAN living area offers a bright and inviting interior space furnished with LEATHER SOFAS, and the bathroom benefits from sleek PORCELENSOSA decor. MODERN, SPACIOUS and WELL LIT, this 1-bed property is perfect for STUDENTS studying at Cardiff University. The LARGE OPEN-PLAN LOUNGE and MODERN KITCHEN are superbly decorated with large windows, great worktops and modern furniture with a spacious fridge/freezer. The LARGE BEDROOM contains a DOUBLE BED with GREAT STORAGE and LARGE WINDOWS, and the whole property benefits from EASY TO CLEAN LAMINATE FLOORING. This apartment also benefits from great access to CATHAYS TRAIN STATION and the STUDENT UNION, and is only a 10 minute walk to Queen Street in the city centre or Bute Park for the nature lovers! *NO AGENCY FEES – LIMITED TIME OFFER* Richmond Square is the ULTIMATE IN CITY LIVING. This striking ONE BEDROOM apartment offers luxury and style to create a contemporary haven set in a PRIME LOCATION in the heart of Cardiff. This one bedroom apartment faces on to Richmond Road and is available to both STUDENTS & PROFESSIONALS. This GROUND FLOOR apartment is designed to offer a contemporary living experience complete with UNDERFLOOR HEATING, state of the art VIDEO ENTRY systems and a FULLY INTEGRATED KITCHEN. The OPEN PLAN living area offers a bright and inviting interior space furnished with LEATHER SOFAS. The apartment also benefits from sleek PORCELENSOSA bathrooms! We are pleased to offer this stunning 2nd floor apartment in the heart of Cardiff. Available to both students and professionals this apartment boasts 2 double bedrooms, one of which has full en-suite facilities, large, modern open plan Kitchen/Lounge complete with fully fitted kitchen and a master bathroom. As well as its fantastic location this apartment has one allocated parking space in a gated courtyard and great transport links to the M4 and a short walk to the City Centre. This property is managed by the landlord. Fees Apply.